If there's one thing that Exo Protein knows, it's protein and it doesn’t get better than our peanut butter and jelly protein bars. Peanut butter is a great source of protein, plus it's filling and delicious. With the addition of cricket protein, you're looking at the perfect healthy snack. Our peanut butter protein bars give you a boost of energy that will help you power through any workout or daily challenge. 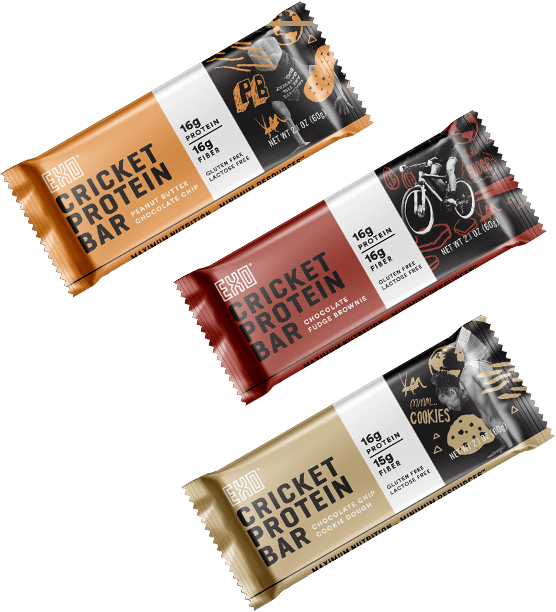 Order yours today or browse our collection of equally delicious cricket protein snacks. Don’t forget to take advantage of our free shipping on orders of $45 or more! Nutrient dense, and packed with flavor!